Three rounds of 18 holes with a final 9 on Sunday afternoon. There will be a cut before the final 9. 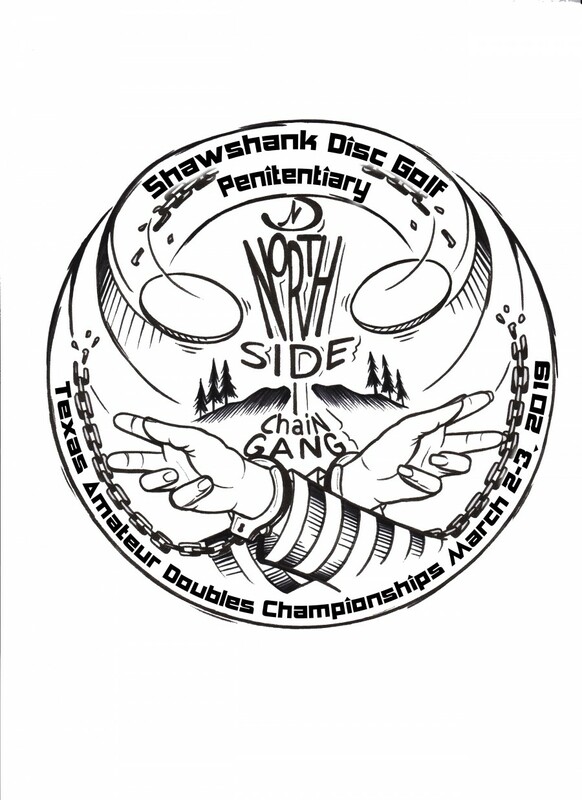 Texas State Doubles competition based on the World Doubles format. Bring your own everything: camping supplies, food, drink, etc. PACK IT IN PACK IT OUT. Pre-Registration begins January 1st at midnight, and ends March 1st. A $5 late fee will be charged after March 1st. Credit card registration available through discgolfscene.com, and must include all fees. Both players must register at the same time. FOR FLIGHT A ONLY: AT LEAST ONE TEAM MEMBER MUST CHECK-IN ON FRIDAY, MARCH 1st, BETWEEN 11:00 AM AND 11:00 PM. This will help us out in getting things ready for Saturday. There will be a short check-in and registration period Saturday morning March 2nd from 7:30 am- 8:30 am. Any pre-registered team not checked in by 8:30 am will be dropped and replaced by a team on the waitlist. Camping fee for non-players is $20 per person. Friday afternoon doubles round (Best shot) $10 per person and a flex tee time starting at 11 am. YOUR TEAM WILL NOT BE REGISTERED UNTIL BOTH PLAYERS ARE PAID IN. Make checks or money orders payable and mail them to Matt Stillwagon, 27 Coralberry Rd., The Woodlands, TX 77381, or register through Discgolfscene.com. For more information, contact Matt Stillwagon at [email redacted], or (207)852-1968. We are still looking for more sponsors out there! We will continue to take sponsors until February 28th. $100 gets you a tee sign, recognition on the Facebook page, and on the players guide. (only if all logos are received before February 1st). Raffle items will be up for grabs as well. Tickets will be $1 for one, or $5 for 8 tickets. All proceeds will benefit the EDGE program. CTPS- There will be 3 CTPS that will pay out as follows- 25% paid out to 1 player, 25% to a 2nd player, and the other 50% will also be donated to the EDGE program. EDGE is a very important program that benefits the youth of the sport by getting disc golf into schools throughout the country, as well as camps, and youth programs. FRIDAY BEFORE THE TOURNAMENT, the gates will open at 11AM. Check in at the Front Porch. If space is still available after the pre-registration is closed, it will be first come first served. Pre-registration is strongly advised. Most years teams have needed to be turned away. Please provide either your PDGA card, or your receipt of PDGA membership registration showing active status. Shawshank Disc Golf Course is located at 450 Four Notch Rd. in Huntsville, Tx. North Side Chain Gang is responsible for all refunds/cancelations. Full refunds will be honored up to 1 week prior to the tournament. After that point, 50% refund plus your players pack will be all that we will refund, unless we have a waitlist team that fills the spot.